From bottomless offerings to specialty cocktails, these spirit-driven brunches prove why the weekend meal is worth looking forward to. Come Sunday, there’s nothing quite like sleeping in and enjoying a late morning meal—it’s a time to relax and unwind with good food, great company and a stiff drink. Whether for a family gathering, catching up with friends or a celebratory occasion, brunch has become a cultural tradition, a way to end the weekend or kick-start the week ahead. Cameron also suggests the lure of Sunday brunch is tied to the host of morning-appropriate libations perfect for indulging before having to return to work the next day. 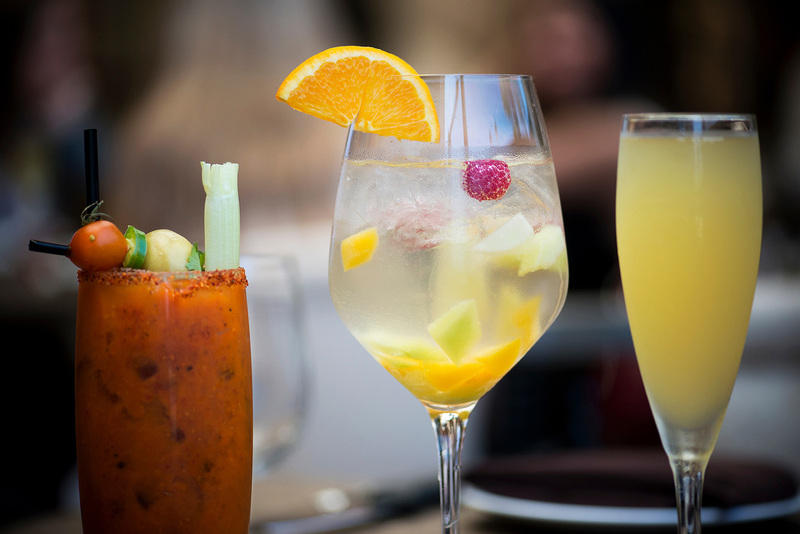 Bottomless glasses of bubbly, complex bloody marys and light cocktails are staples for a brunch done right. From late morning through early afternoon, these great boozy brunch offerings give local customers the perfect fix for their morning buzz—and prove that it doesn’t have to be 5 o’clock to start imbibing. Call it the hair of the dog, the world’s most complex cocktail or any of the other names it’s been known by over the years—however you describe it, the magical mixture of tomato juice, alcohol and spices that make up a bloody mary is known around the world. A typical bloody mary mixes the acidic flavor of tomato with the sharpness of vodka, accented by a variety of spices like Tabasco, Worcestershire sauce, horseradish and cayenne pepper. Here in Newport, however, bartenders are known to add an extra kick to the already complicated cocktail. A&O Kitchen and Bar offers a Sunday brunch bloody mary cart. Ian McDermott, the food and beverage manager at A&O Kitchen and Bar who spearheaded the restaurant’s bloody mary program, says there are a few things needed to make a stellar cocktail. The first, he explains, is one people often forget: lemon juice. The glass used is also important—having a wide-rimmed vessel provides the opportunity to pile on more condiments and slow the melting of ice so the drink isn’t watered down. Finally, a healthy balance of spice and different condiments makes for the perfect bloody mary. A&O’s build-your-own bloody mary cart, introduced shortly after its opening at Balboa Bay Resort earlier this year, offers brunch patrons the ability to pick and choose from a variety of add-ons and garnishes to customize their cocktails. From pickled asparagus to bacon to beef jerky, the options are seemingly limitless. Another great option in Newport, 3-Thirty-3 Waterfront delivers a similar build-your-own experience. Patrons are provided a glass with vodka and ice, then invited to visit a station with all the fixings. Three types of salt (onion, celery and garlic), pepper, wasabi, cilantro, thyme and tarragon give an aromatic edge, while ingredients like celery, asparagus stalks, pickled green beans and olives allow imbibers to get creative with their arrangements. Paired with custom burritos, it’s an ideal choice for those who want to try a little bit of everything. Beyond Mexican cuisine, the bloody mary tends to couple well with most savory breakfast dishes, particularly eggs Benedict, Ian says. He does suggest steering clear of sweeter foods like waffles and pancakes; sugar isn’t a great match for the stiff bite of flavors in the popular drink. 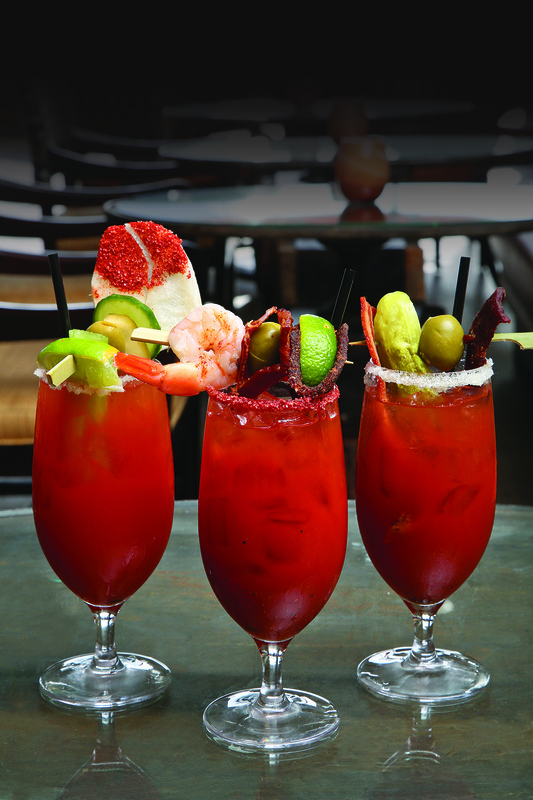 After specialty bloody marys, the drink option most commonly associated with brunch is of the bottomless variety. Free-flowing Champagne is a popular choice for bottomless brunches, with Newport restaurants offering all-you-can-drink mimosas as a supplement to entrees. 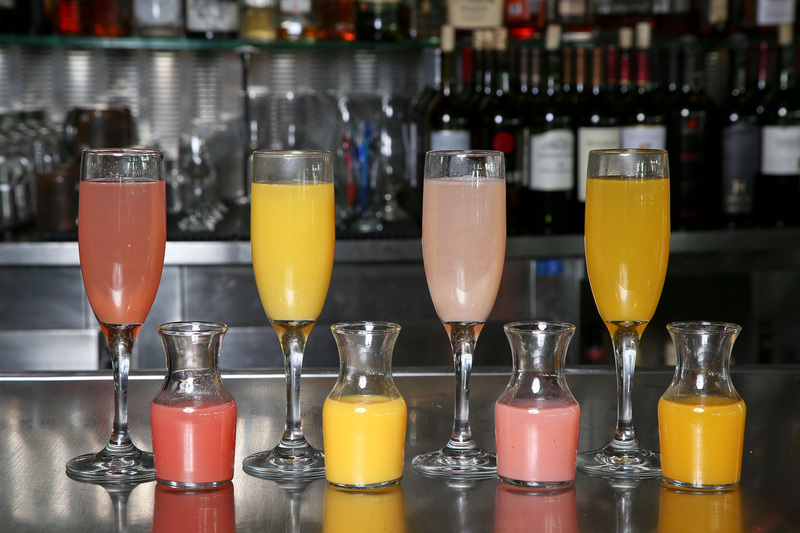 Bayside Restaurant’s brunch menu is enhanced by bottomless mimosas with four kinds of juice. Traditionally made with Champagne and orange juice, mimosas are a lighter beverage to pair with heavy breakfast dishes. 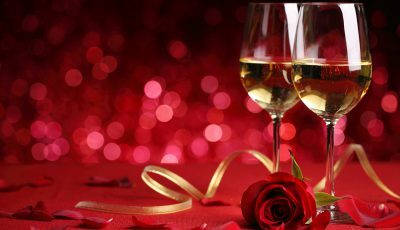 Champagne and sparkling wines, in general, have a touch of sweetness that goes well with salty foods served in the morning. Bayside’s Scottish smoked salmon Benedict complements the endless dry bubbles, but diners who want more exotic flavors can also look outside the box for unique pairings. Red O, known for its modern Mexican fare, serves bottomless mimosas as a $20 add-on to its buffet-style brunch, allowing diners to sample savory paella and ceviche with the classic beverage. Other morning buffets give plenty of options for pairings: For an extra $5 at Newport Landing Restaurant & Oyster Bar, diners get unlimited Champagne and can choose from hot and cold dishes that run the gamut of flavors. 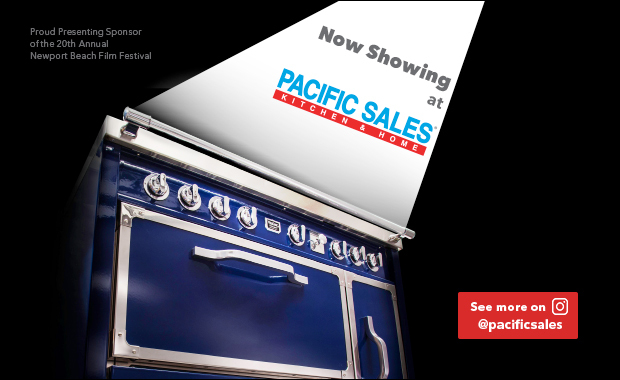 It’s the best of both worlds for those who want savory lunch bites like sushi and chicken cordon bleu as well as breakfast essentials like bacon and four types of eggs Benedict. To dress up the standard mimosa, consider swapping out traditional orange juice for more interesting flavors. Bayside lets diners upgrade to mango, guava or strawberry-banana for an extra $2; at Red O, you can make the switch seamlessly from bottomless mimosas to sharper tastes found in the bloody marys, margaritas, sangria and tequila sunrises. 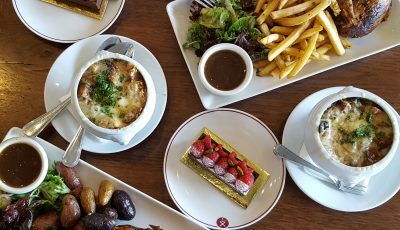 There’s a bottomless brunch for almost every price and palate in Newport—solid $10 options include spots like The Alley Restaurant, Port Restaurant & Bar, and The Village Inn, while worthy splurges at $15 can be found at Cafe Jardin and The Cannery. 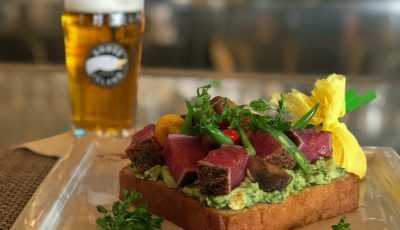 Even still, restaurants including Woody’s Wharf and Bosscat Kitchen & Libations incorporate bottomless beverages into the prices for entrees, demonstrating that the marriage of brunch and booze is alive and well in Newport. The breakfast cocktail is in a class of its own. It can adopt the best characteristics of a mimosa—bubbles—or the customization of a bloody mary and instantly enhance any brunch menu. From screwdrivers to tequila sunrises, morning cocktails are an adult’s dream juice. A stiffer drink than Champagne, morning cocktails still tend to err on the lighter side of spirits. Gin and vodka are popular liquors for an early pick-me-up—the gin fizz, featuring an egg white, lemon and lime juice, simple syrup, cream and soda water, as well as the corpse reviver family of libations, are frequently used as “morning-after” hangover remedies. 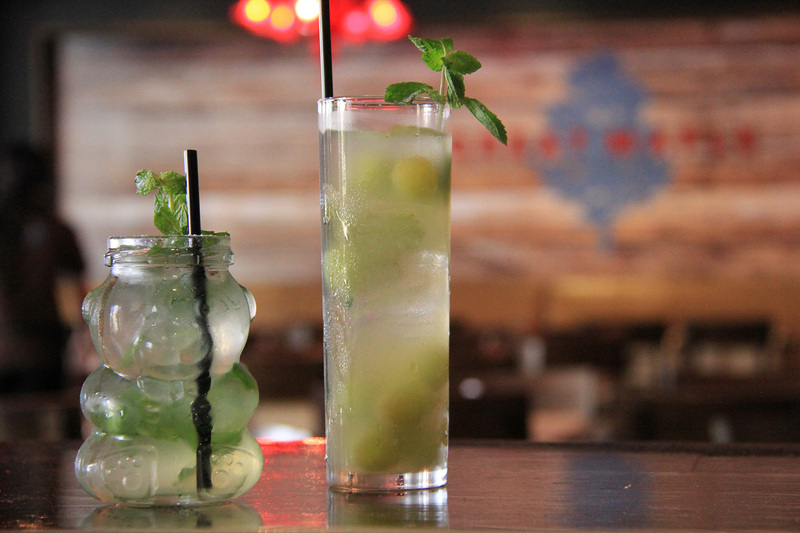 A great morning cocktail example can be found at Great Maple at Fashion Island; the Grapes of Gold pairs gin with cucumbers, vermouth, fresh lemon press and frozen grapes in a Collins glass for a refreshing sip. Other daytime drinks at the restaurant follow the lighter trend as well, mixing vodka with honey, pear puree, fresh-pressed watermelon juice and cucumber. These citrus flavors and fresh produce are staples on coastal cocktail menus. 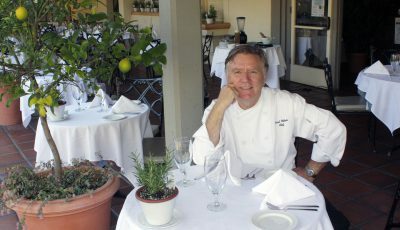 Provenance, a restaurant opened earlier this year by Cathy Lucca, even has an on-site garden for sourcing organic components. Signature cocktails complement the hearty Sunday farm breakfast entrees there—the Corpse Reviver No. 2, mimosa, bloody mary and gin fizz can all be ordered here with a Provenance twist, along with a specialty drink aptly named The Morning After. Campari, grapefruit juice, pomegranate juice and Champagne come together in a bubbly concoction that pairs well with savory breakfast foods like eggs, bacon and croissants. For those who enjoyed themselves a bit too much the night before or want a nonalcoholic take, “mocktails” (virgin cocktails) allow diners to sip and savor without the added buzz. “There’s a good amount of people who want to enjoy brunch, but don’t want to have alcoholic beverages,” explains Mitchell Malnati, beverage manager at Fig & Olive, which offers three mocktails featuring unique flavors like clover with muddled strawberries and fig. A true boozy brunch fanatic, however, isn’t afraid to indulge and experiment. Brunch holds a special place in people’s calendars—a few hours when time stands still and you can clink glasses with your dining companions to celebrate another Sunday well spent. Just across city lines, there’s a bevy of brunches waiting to be discovered. These two Costa Mesa restaurants offer different experiences—both bottomless—for the best meal of the week.